CT2N6 is a microcontroller-based wiper control system for 6 wiper motors. 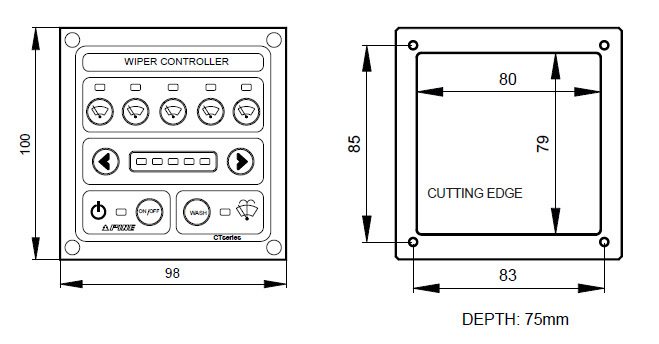 CT2N6 is composed by one control panel CP4P63 and two relay boxes SRM3P. Control panel is connected to relay boxes by two serial cable (CANBUS cable) with two 8 pole plugs. Every unit has two plugs (in parallel) and any one or both can be used. 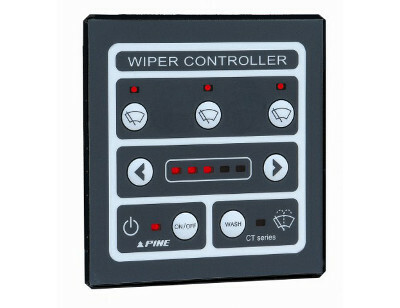 Each button manages two wipers. Motors- output currents Single or double speed – each motor 12 Amps max.